IVIM-DW imaging has shown potential usefulness in the study of pancreatic lesions. Controversial results are available regarding the reliability of the measurements of IVIM-derived parameters. 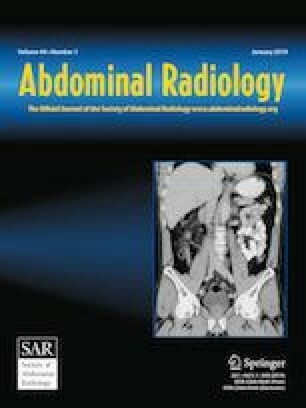 The aim of this study was to evaluate the reliability and the diagnostic potential of IVIM-derived parameters in differentiation among focal solid pancreatic lesions and normal pancreas (NP). Fifty-seven patients (34 carcinomas—PDACs, 18 neuroendocrine neoplasms—panNENs, and 5 autoimmune pancreatitis—AIP) and 50 subjects with NP underwent 1.5-T MR imaging including IVIM-DWI. Images were analyzed by two independent readers. Apparent diffusion coefficient (ADC), slow component of diffusion (D), incoherent microcirculation (Dp), and perfusion fraction (f) were calculated. Interobserver reliability was assessed with intraclass correlation coefficient (ICC). A Kruskal–Wallis H test with Steel–Dwass post hoc test was used for comparison. The diagnostic performance of each parameter was evaluated through receiver operating characteristic (ROC) curve analysis. Overall interobserver agreement was excellent (ICC = 0.860, 0.937, 0.968, and 0.983 for ADC, D, Dp, and f). D, Dp, and f significantly differed among PDACs and panNENs (p = 0.002, < 0.001, and < 0.001), albeit without significant difference at the pairwise comparison of ROC curves (p = 0.08-0.74). Perfusion fraction was higher in AIP compared with PDACs (p = 0.024; AUC = 0.735). Dp and f were higher in panNENs compared with AIP (p = 0.029 and 0.023), without differences at ROC analysis (p = 0.07). IVIM-derived parameters have excellent reliability and could help in differentiation among solid pancreatic lesions and NP. We state that this work has not received any funding. Riccardo De Robertis, Nicolò Cardobi, Silvia Ortolani, Paolo Tinazzi Martini, and Mirko D’Onofrio declare no economic relationships with any companies, whose products or services may be related to the subject matter of the article. Alto Stemmer is an employee of Siemens Healthcare GmbH. Robert Grimm is an employee of Siemens Healthcare GmbH, owns stocks of Siemens AG, and holds patents filed by Siemens.